With an experienced team of Charlotte plumbers on your side, you can rest easier knowing that your residential or commercial issue is under control. 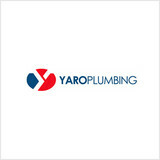 At Yaro Plumbing, we proudly help clients with their complex plumbing issues, ensuring they get the top quality reliable services the need with as little downtime as possible. 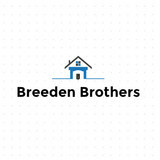 The team is dedicated to using the full extent of their knowledge and experience in order to ensure your home or business is always running smoothly. Yaro Plumbing is also available 24 hours a day, 7 days a week for emergencies and do not charge any extra fees for night, holiday, or weekend appointments. For help from a full service plumbing and drain cleaning company, or to schedule your free initial estimate, call the team of plumbers today! Servicing all of your plumbing needs in the Washington D.C. area! R Jackson Plumbing LLC prides itself on being the go-to choice for clients looking for Plumbing Service, Plumbing and Plumbers services. If you're looking for expert plumbers, our plumbing services provide highly trained plumbers and contractors for our clients who want to hire the very best. For local plumbing, the only name you need to know is AABCO. Unlike other plumbing companies in this area, we'll drain your pipes, but not your wallet! We are fast, affordable and conveniently cover both Maryland and Virginia. We have gained the experience of being able to provide nearly any type of plumbing services that you may require. However, if you don't see exactly what you're looking for on our website, please contact us and we will do everything we can to satisfy your needs today. Ramos Plumbing & Handyman Services is family owned and operated. We are a local company located in Rockville, Maryland, and we offer our services to most of the Montgomery county and the Washington, DC Metropolitan Area. Martin Ramos is a licensed plumber with 20 years of experience who has been trained by the AU Trade School. We always say we are only happy when our customers are happy! Our referral program is the best. We want our clients to feel comfortable telling others about our services and we make sure to thank them by offering a discount on their next project. W.L. VORHIES PLUMBING AND HEATING IN WASHINGTON Fix Leaks and Frozen/Broken Pipes The average household's leaks can account for more than 10,000 gallons of water wasted every year and ten percent of homes have leaks that waste 90 gallons or more per day. 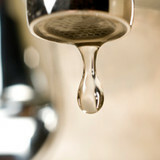 Leaks can also damage other areas in your home. 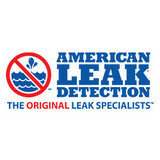 Signs of a leak include: Increased water usage in colder months such as January or February Water outside the pipe Water meter changes when water is not in use Place a drop of food coloring in the toilet tank, if any color shows up in the bowl after 10 minutes, you have a leak. If your pipes leak remember: the sooner you call, the more money you save! Heating Radiators not heating up? Is the boiler in the basement not generating enough heat? If this sounds familiar, call W.L. Vorhies Plumbing and Heating in Washington today! We serve the entire Washington DC metro area. Drains Clogged drains are slow and gross and that's when they work at all. We can get your drain back to pristine condition if you make the call. Satisfaction guaranteed! Over 30 years of experience Able and Ready Plumbing has been serving the DC Metro Area for over 30 years. We are a family owned and operated plumbing company. Our plumbers are some of the best in the business. They have the experience and aptitude to repair all of your plumbing issues and leave you feeling a great sense of satisfaction. JIM'S Inc. is a locally owned and operated service firm. Customers in MONTGOMERY COUNTY, MD count on JIM'S Inc. for their plumbing, heating, air conditioning, electrical, handyman, and remodeling needs. JIM'S Inc. was founded in September 1992 by James D. Mitchem (Jim). Jim was was active in the plumbing profession from 1959 through his retirement in 2014. JIM'S Inc. continues his legacy of excellent service under the management of Master Plumber Hamid Pourifarsi (H.P.). JIM'S Inc. serves our customers with integrity, competence, and objectivity. We deliver more than we promise through added value. We perform our services to meet local codes or better. We continually strive to find and use the finest materials available. We quote prices before beginning the task so there are no surprises. We respect our client's home and leave it cleaner than we found it. We arrive at promised time, every time, or call before we are late. We will continually search for better ways to improve the service we provide. JIM'S Inc. has pleasant and knowledgeable office personnel and sends only neat, clean, knowledgeable, and professional technicians. JIM'S Inc. performs all work with the safety of the occupants of the home and our technicians in mind. We perform inspections to insure the safety of all related systems. We keep all power and hand tools in safe working order. It is our goal to DELIGHT our customers each and every time we are in their homes or places of business and to provide the best service possible and for the best value. We intend that you be our client for life and that we be your Service Firm as long as you live in the area. We will do all in our power to attain these goals. When I was a teenager, one thing drew my attention - the sound of dripping water coming from the bathroom. When I asked my parents why they didn't fix it, they told me they needed to call a plumber but that was too expensive. Then I decided to do it myself but my parents had a different opinion. In fact they warned me not to do it but I decided to do it any ways. But I did it after several attempts. Our neighbors and families found about it and I got awarded. After that day I decided to be a great professional plumber. I also decided to do it for free for seniors and family members and with small price for those who can afford to pay for plumbing services. After a while I decided to take a class and joined union that gave me practical and theoretical knowledge. My goal is to serve the community with honesty, proficiency and quality of work and to do it right at the first time and to work with passion. Our business is our livelihood but it is also so much more. Lion's Plumbing and Heating, LLC was started to fill in a void in the current market and to make a business that people can place their trust in. Over the years we have never lost our commitment to our clients and that is what has allowed us to succeed in a very competitive industry. The employees of Lion's Plumbing and Heating, LLC stand committed to our purpose and will provide the best service! 4 Fast Plumber is a full service plumber that provides repairs, replacements, and installations. Top quality services for sewer, drains, pipes, and water heaters, including maintenance. Emergency services available.